NEXT ST. MICHAEL’S CUP: JAN 30, 2015 at 7pm at CBHS! 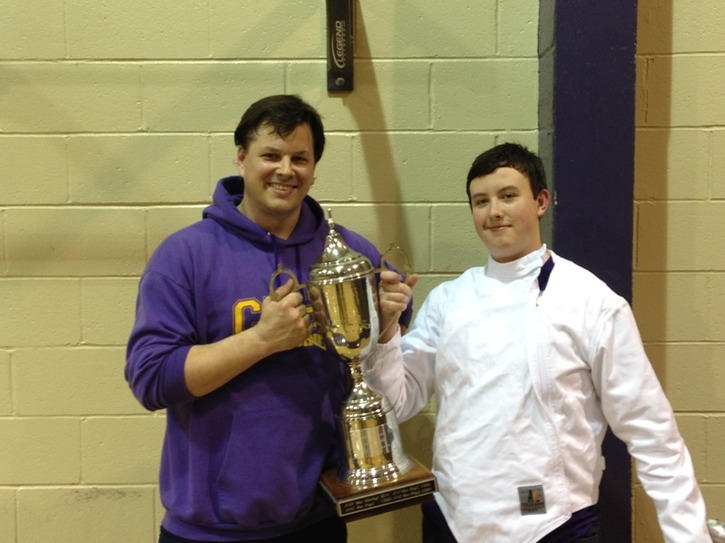 At the annual matchup in basketball between CBHS and MUS in January, a tradition has occurred for the last several years (since 2005) at halftime: a 5-touch fencing exhibition duel between the best fencers of each school called the St Michael's Cup. The winners take charge of an audacious Stanley-Cup wannabe trophy and, of course, bragging rights. CBHS has only lost twice out of the nine times the Cup has been contested!